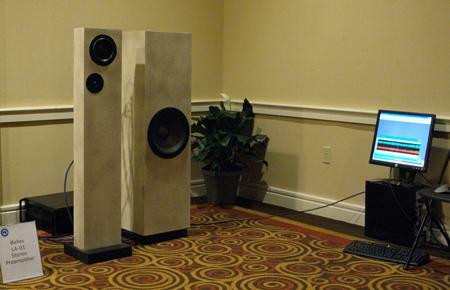 Stereophile Shows in the past always had full programs of live music, to allow Showgoers to recalibrate their ears. 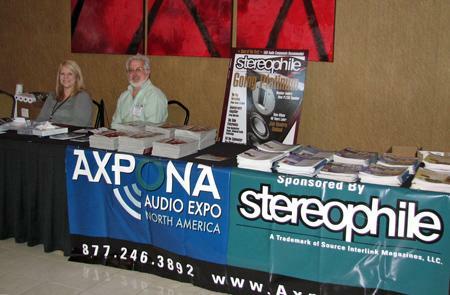 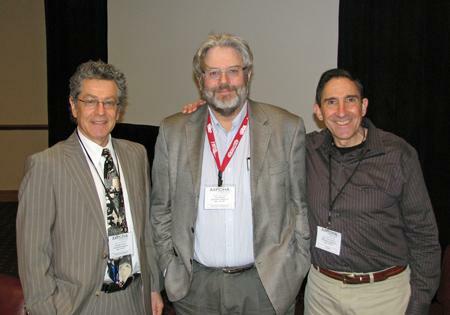 While Axpona had a live concert Friday night featuring Steve Davies on guitar and vocals and John Yurick on keyboards, with me guesting on bass, this was for exhibitors and press only. 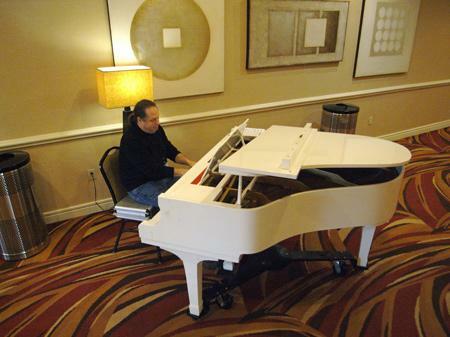 Fortunately, John Yurick performed live on piano in the hotel's lobby during Show hours, offering up some excellent jazz standards. 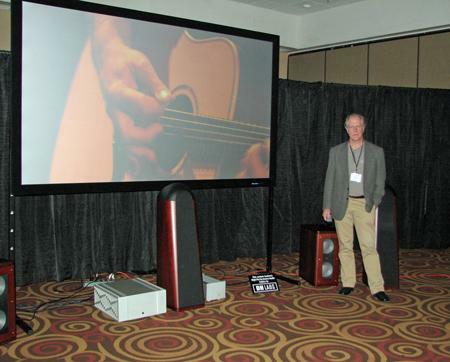 At the other end of the large room shared by Definitive Electronics and Michael Chafee Enterprises from the Genelec-based surround system that Jason blogged about, renowned mastering engineer Bob Katz was playing 24-bit/96kHz files handpicked from his portfolio. 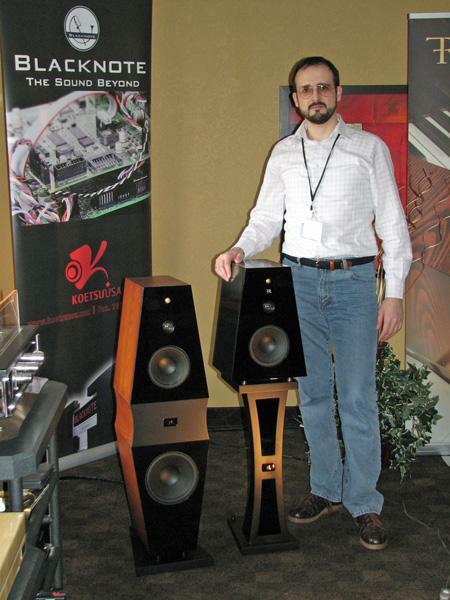 Speakers were the superb Revel Ultima Salon2s driven by a solid-state Balanced Audio Technology power amp, hooked up with Nordost cabling. 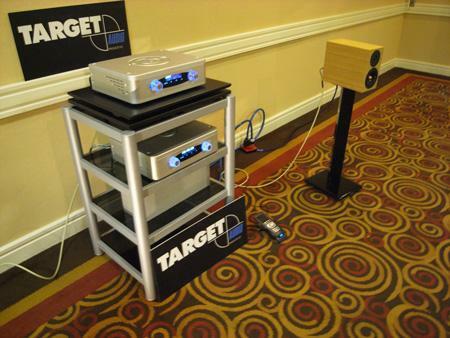 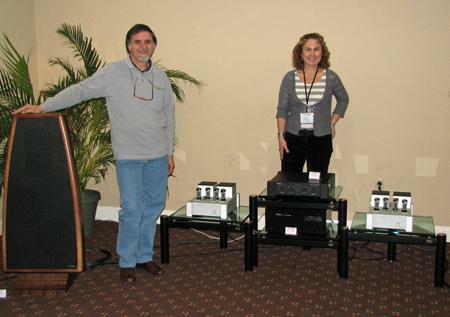 "Reference Audio on a Budget" was the tagline for the exhibit from Darren and Bonnie Censullo's Avatar Acoustics of Fayetteville, GA. 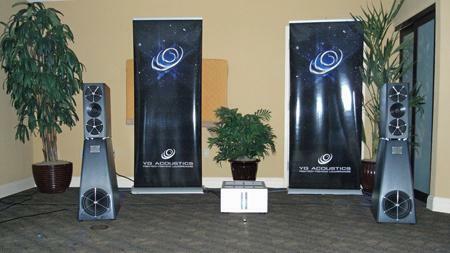 Most important, the room featured two world premieres. 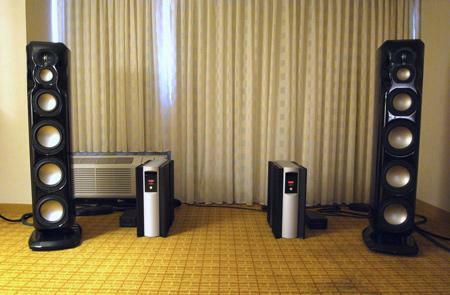 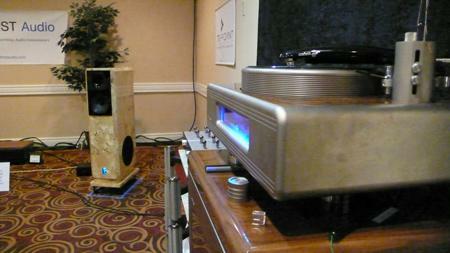 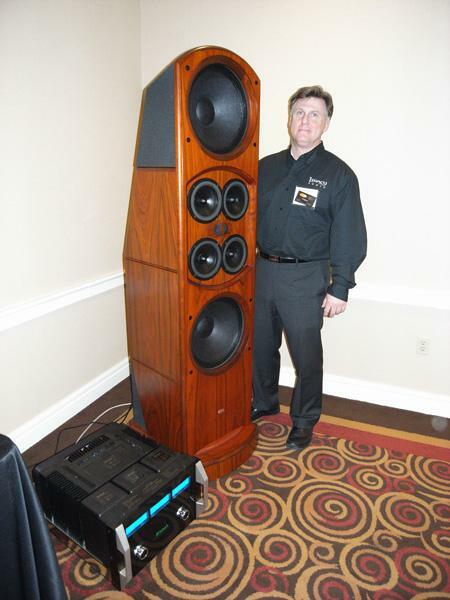 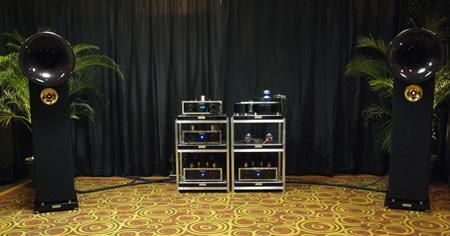 First was a product you're sure to hear more about, the Axis Voicebox S loudspeaker ($3000/pair). 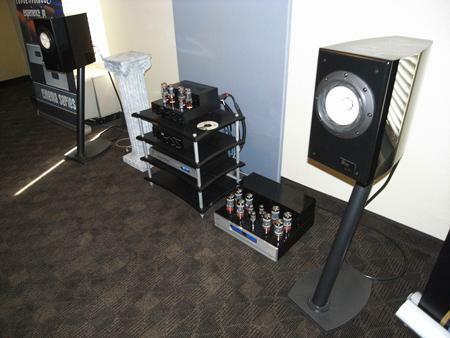 A 5 ohm, 83dB sensitive model with a frequency response of 45Hz20kHz ±3dB, this little baby was paired with Abbingdon Music Research's AMR AM 777 60Wpc hybrid integrated amplifier ($4500), AMR CD-777 player ($4500), Dr. Feickert Analogue Woodpecker turntable ($4995) with DFA 10.5 tonearm ($1000), AMR PH-77 phono preamp ($11,995, and soon to be reviewed by Michael Fremer)), and DFA premium tonearm cable ($600). 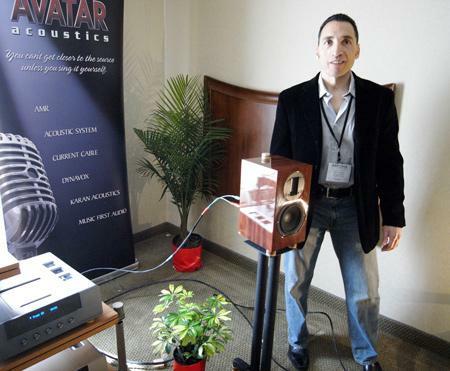 Throw in $11,265 worth of cabling and power distribution from Acoustic System International and Avatar Acoustics, including the world premier of the Avatar Acoustics Mach 4 Power Distributor ($1800 with power cable), and $10,240 worth of Acoustic System International Resonators, and your hypothetical budget would top $50,000.